9am - There is no doubt that when sick, I'm a terrible patient. Being laid up, not able to do stuff drives me a bit nutty. It's the same with this bout of bursitis that I'm going thru now. One of the symptoms of my bursitis is lack of energy, likely caused by the infection in my system. Yesterday for example, I shopped at Home Depot for the 3/4 round wood sticks for Scampy's stealth curtains. When arriving, I sat in my car for a bit because I felt to tired/weak to get up and out. Bummer! This morning there seemed to be an improvement! Hardly any pain when moving the elbow joint. The elbow still is red and swollen though. I will be sooooo happy when this bursitis is cured! I'm shopping for elbow guards to protect against bumping. According to my doctor, it seems likely that bumping my elbow caused bacteria to enter the bursa in my elbow. And that is what led to this bursitis. Scampy and The Team are anxious to be going on a camping trip. It's tough to have to wait! We bought a bunch of stuff online while in San Diego. That stuff was delivered to my friend John's home. The things that we bought had not been delivered by the time we took off for my daughter Johana's home. So, our next camping trip will be a return to San Diego. Visit with John. Go golfing [if bursitis permits]. And pick up all of our delivered stuff! Yesterday at 24 Hour Fitness the only thing I did was soak in the Hot Tub and socialize with other soakers. by avoiding using my right elbow. The elbow with bursitis. There are some machines that do not use arms. Leg, back machines for example. I began trading stocks in 1959. That's 57 years. I believe that I learned some things about finance in all those years! The stock market has reached unprecedented heights. And the market is doing this when true financial statistics are plunging downward! Everything financial is in the worst mess in history!! All major banks are insolvent. They have unfunded holdings in Credit Default Swaps in the neighborhood of $175 trillion! The Bank for International Settlements estimates that outstanding derivatives total $708 trillion. The United States Government itself is under water! U.S. National Debt will cross $20 Trillion in weeks. Business is terrible and getting worse. Yet the stock market is going thru the roof! Sure looks like Tulip Mania to me. This may be the most giant bubble in history! Note: I have 70% of my retirement portfolio with Vanguard. I guess that I really trust Vanguard. Recently, Vanguard published a paper about Market Bubbles & Investor Psychology. Click [here] to read that paper. I really love to go see a production of The Nutcracker Ballet each year around Christmas time. The production that I'm going to see this coming Sunday is put on here in Apple Valley by "A Dancers Pointe" [link] a local dance school. It is a true story of a remarkable event. 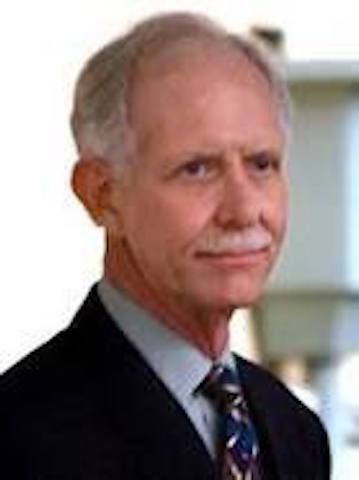 Chesley Sullenberger, the airline pilot in this story is a fantastic person. Tom Hanks who portrays Sullenberger, is once again a wonderful actor. Hope feeling better soon, and exercise is always a good thing. PS: I note that you regularly comment to me. I enjoy receiving your comments! You're right when this bubble bursts the world will feel it -- it is scary. Your comment expresses my feeling about the coming bubble burst. However, this view is NOT held by the vast majority of people. Across our country. And across the globe. It seems truly odd to me. Most people do NOT believe that there are repercussions when government actions are economically unsound. But one fine day, it will dawn on the person in the street, that things are NOT right. Our entire financial system is based on trust. The dollar in our pocket has absolutely no value. You and I give it value by trusting that it actually has value. When the day comes, that the dollar is NOT trusted because our government is broke, look out below! The credit card bubble is going to burst and money will be hard to come by according to prediction. They say to buy gold because that will be the only sure thing of value. The prediction might be coming true sooner than later. The thing about this kind of speculation that you and I are writing about, is that nobody [I mean not one single person], knows WHEN such a bubble will burst. As a result, it is extremely difficult for an individual to protect them self. How did you watch Sully. Says $14.95 to watch on Amazon Prime? While I agree that we're in another dangerous financial bubble, I think some of the 'facts' you served up are so alarming they deserve verification. In general, I think when alarming 'statistics' are thrown out, verification (or at least sources) is incumbent on the thrower. Well, all of the stats that I wrote about are out there for you to check yourself. ie; US Government debt. Also, bank unfunded credit default swaps. It is the ridiculous interpretation of government debt that is the thing in question. Same with bank unfunded debt. No individual has ever borrowed their way to prosperity. Money borrowed by a person, must someday be repaid. Or, that person may go bankrupt to avoid repayment. However, when our US Government does the very same thing, somehow magically, borrowed money does NOT have to be repaid. Ridiculous! Of course the money that the US government has borrowed must be repaid. Same thing with the banks that have speculated in trillions of dollars in unfunded credit default swaps [CDS]. Those swaps are on the banks balance sheet. Oh yes, the banks may thru subterfuge not reveal unfunded CDS as a liability. But if the banks did reveal that unfunded debt, their balance sheets would show that the banks are broke! I agree with your sentiments, I just question your data. Telling me to verify it myself tells me you saw it "somewhere" but don't remember where. This leads to another recent hot topic, "Fake News".